The best time of the year is here!!! The End of Season Sale is back at Lifestyle and you can avail great discounts on the trendiest of stuff both on the website as well as at your nearest store! Women, it’s time for you to shop till you drop. Some of you like to stock up on basics during sale season, while some might finally get a chance to buy an item you had your eyes on since long. But, this EOSS, there are a few things that you must not miss getting your hands on! Fusing Indian looks with contemporary style sensibilities is a great way of standing out in the crowd. So, stylish kurtas are must-haves in every modern woman’s wardrobe. Take your pick from a wide range of trendy kurtas and tunics at the sale, and get yourself some fashionable pieces at discounted prices! From casual printed ones to dressy, embellished ones; these kurtas can add a fusion spin to any outfit, making you an effortless head-turner. Chic tops are every girl’s go-to item of clothing, specially when she doesn’t have time to plan an elaborate outfit. 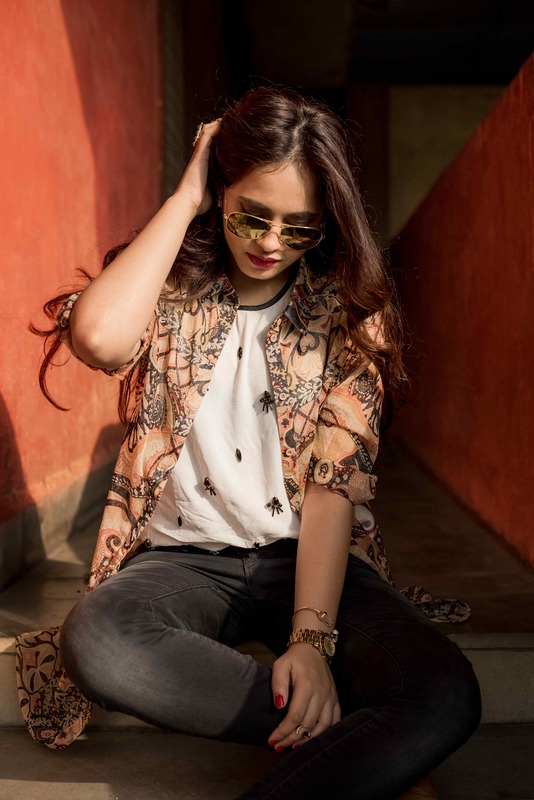 At this EOSS, score some stylish and trendy tops that can serve a versatile purpose and look great with all kinds of bottoms – from casual denims to glam-chic skirts. Pick pieces for every purpose – graphic tees for college wear, boho tops for hanging out with friends, sporty tees for gym or cute crop tops for movie dates. Grab these essentials at heavy discounts and get yourself new ones with feeling guilty! Pretty dresses are a girl’s best friends and you can never have enough of them in your closet. And when you can pick up some of the trendiest pieces at a fraction of the original price, it’s a win-win scenario! Don’t miss out on the season’s coolest dresses that you can get your hands on, that too at a discount, at the Lifestyle sale. Stock up on shift dresses for work, easy breezy maxi dresses for weekend outings, printed skater dresses for college and even the quintessential LBDs for the party season! You might not give these wardrobe essentials much importance, but the right bottoms can take a look from drab to fab in an instant! Your closet needs some versatile bottoms that you can mix and match with various tops and tees to create trendy outfits. Take advantage of the amazing offers going on and get yourself some stylish bottoms – comfy jeans, trendy skirts, easy breezy palazzos or even basic leggings. A few fashionable pieces are all you’ll need to step out in style all the time! The Lifestyle EOSS starts from 18th December and is offering an amazing array of trendy clothes and accessories for up to 50% off! You can even get special offers and cashbacks by using some select credit and debit cards or PayTM for payment. You can avail the discounts both online as well as at the nearest Lifestyle store. The website also offers the new service of “Click and Collect”, wherein you can buy a piece on the website and collect it from your nearest store! So, there’s no more worry of your favorite pieces getting sold out! Get, set and start shopping!